This is, for now, our final post on the Annabella and Peter Proudlock Collection exhibition, which continues until November 4. Jamaica has a long and rich history of popular and self-taught art but this has not always been fully valued and documented. There have however been several major efforts over the years to recognize the artistic mastery and significance of artists who have come out of this sphere. This started with the recognition of John Dunkley and David Miller Senior and Junior by the nationalist intelligentsia in the 1930s and 40s. In the 1960s, as Mallica “Kapo” Reynolds—a Revivalist bishop — received significant support from the young politician Edward Seaga and Jamaica’s first Director of Tourism, John Pringle. Kapo’s personality and work were, for instance, used in the Tourist Board Board advertising, as part of a campaign to convey that Jamaica was more than just a beach but had a rich and distinctive culture – a campaign which paved the way for later cultural tourism initiatives such as Harmony Hall. The emergence of the Rastafari movement in the 1960s also helped to validate and give visibility to popular cultural production. The defining moment of what is now labelled as Intuitive art came with the National Gallery of Jamaica’s ground-breaking Intuitive Eye exhibition in 1979,which featured the work of a wide range of self-taught, popular artists such as Dunkley, the Millers and Kapo, as well as several newer exponents. This exhibition was curated by David Boxer, the National Gallery’s Director/Curator at that time, who coined the term “Intuitive,” as an alternative to derogatory terms such as “primitive” and “naïve.” While the National Gallery’s promotion of the Intuitives was not uncontroversial, it was supported by a passionate group of collectors and enthusiasts. This included Annabella Proudlock, who had been friendly with artists such as Kapo since the 1970s, and Harmony Hall, which opened in 1981, quickly became the main private counterpart of the National Gallery in the promotion of the Intuitives. Harmony Hall is best known, locally and internationally, for its association with Intuitive art, and particularly its Harmony Hall Intuitives exhibitions, which were held annually from 1982 to 2014. Annabella and Peter Proudlock maintained a close, supportive relationship with the Intuitive artists they exhibited over the years. Not surprisingly, the Intuitives are very well represented in their collection, with many of the works acquired from the Harmony Hall Intuitives exhibitions or directly from the artists. This gallery highlights works by Mallica “Kapo” Reynolds, Albert Artwell, Allan “Zion” Johnson and Birth “Ras Dizzy” Livingston – all major exponents of Intuitive art. It includes early works by these artists that were acquired before Harmony Hall was established and owned by Annabella, which also illustrates that there was a longer history of association which paved the way for what was later achieved at Harmony Hall. Perhaps the most personal works in a collection are those that hold sentimental value or depict moments in the lives of the collectors themselves. This first gallery contains drawings depicting Annabella, Sebastian and Jessica Ogden by David Ogden’s sister Angela Landels (who was a well-known fashion illustrator); a bust of David Ogden by Valerie Bloomfield; and a portrait of Annabella and Peter Proudlock on their wedding day by Anghelen Arrington Phillips. Annabella’s own collages can also be regarded as portraits, or rather as self-portraits: they signal her affinity to the sea, which she lived by for the majority of her life in Jamaica, but also the need to create, which continued throughout her life with all her endeavours. Annabella’s now iconic boxes were built initially by past students from her days working with Operation Friendship and decorated by Annabella, but would later feature the work of artists ranging from Mallica ‘Kapo’ Reynolds to Harmony Hall partner Graham Davis. First produced after the death of her first husband David Ogden as a way to support her young family, the evolution of the Annabella boxes presents a vivid portrait of the relationships with various artists and craft makers that were nurtured and supported by Annabella. The National Gallery of Jamaica’s new exhibition, the Annabella and Peter Proudlock Collection, will open on Sunday, July 30, 2017. Paul Issa will be the guest speaker at the function, which will start at 1:30 pm, and this will be followed by a musical performance by singer Stephanie. The Annabella and Peter Proudlock Collection exhibition documents some fifty years of collecting, mostly of Jamaican art but also of art and craft from elsewhere in the Caribbean and Central America. The exhibition also tells the story of a particularly group of people who made their lives in post-Independence Jamaica and who were deeply immersed in the cultural and artistic developments of that moment, to which they actively contributed. Annabella Ogden Proudlock, who had been a successful fashion model in London in the 1960s, moved to Jamaica with her first husband David Ogden in 1966. David Ogden became a partner in Perry Henzell’s Vista Productions company, which did pioneering work in film and television production in Jamaica, and Annabella started working with Operation Friendship, an inner-city programme for children where she first taught and later directed the Christmas card programme. They had two children, Sebastian and Jessica. After David died in 1978, Annabella moved her young family from Kingston to Ocho Rios and entered the local craft industry with her Annabella Boxes, finely wrought cedar boxes decorated with Jamaican art reproductions that remain as classic Jamaican craft items to the present day. Annabella then teamed up with a group of friends—the artists Graham Davis and Dawn Scott, the architect Ben Eales, and, soon also, the chartered accountant Peter Proudlock, who became Annabella’s second husband—to restore Harmony Hall, a 19th century Methodist manse in Tower Isle, St Mary. Harmony Hall opened in 1981, with Annabella as the Managing Director, and quickly established itself as the premier art gallery on the Jamaican North Coast, with regular exhibitions and ongoing stock display of local art and craft. While Harmony Hall has shown a wide range of art and artists, the Gallery is best known for its association with the Intuitives, with the much-anticipated annual Harmony Hall Intuitives exhibitions and regular solo exhibitions. Annabella Proudlock was actively involved in scouting new talent and maintained a close supportive relationship with the new and older Intuitives, and this approach also carried over in her involvement in craft development, for which the annual Easter Craft Fairs were a major outlet. Annabella passed away in 2015 and Peter Proudlock in 2016, which marked the end of an era in Jamaican art. Illustrating the extent to which art collections are also historical artefacts, much of the work in the Annabella and Peter Proudlock Collection is directly associated with the Proudlocks’ involvement with Harmony Hall and its artists, and the Harmony Hall building even appears as a regular subject. The exhibition also includes several works that Annabella collected before Harmony Hall was established, art works and craft items that were collected during their many travels in the Caribbean and Central America, and a few key works that were first in Annabella and Peter’s collection but are now owned by others. The Proudlocks actively lived with their collection, which could be found in all parts of their home, including the spectacularly decorated kitchen, and the exhibition therefore also speaks about living with art. The exhibition also includes photographs and documentary material on the lives of Annabella, David Ogden, Peter Proudlock and their family and friends, and, of course, on Harmony Hall. The guest speaker on Sunday, July 30, Paul Issa, who was long-time friend of Annabella and Peter Proudlock, is a well-known Jamaican hotelier, philanthropist and actor. He is Deputy Chairman of the House of Issa and its subsidiary Issa Hotels & Resorts Ltd. which owns and operates Couples Resorts, and he is Chairman of the Issa Foundation. Stephanie is a singer, songwriter and model, whose reggae fusion sound incorporates the essence of reggae, R&B, soul, dancehall, and pop. After a stint with the Ashearibbean Performing Arts Company, where she trained and toured as a singer, dancer, and musical theatre actor, Stephanie provided backing vocals for local and international artists, such as the Basque Band singer Fermin Muguruza and reggae acts such as Groundation, Cherine Anderson, Coco Tea, Chaka Demus & Pliers and Mr Vegas. She also recorded two studio albums with Sly & Robbie for Sony Music Japan. Along with Chantelle Ernandez and Scantana, she formed the group UNITZz, whose two albums J Paradise and J Lovers gained tremendous success in Japan. A seasoned songwriter, Stephanie is signed to Rebel America Inc (a production and publishing company in Dallas, Texas) where she writes and records songs for placements on television shows, movies, international ad campaigns, and labels. In February of 2013 Stephanie founded the indie record label Havatio Music. Her debut EP Real Woman and debut album The Christmas Collection were released by Havatio in 2013 to rave reviews. 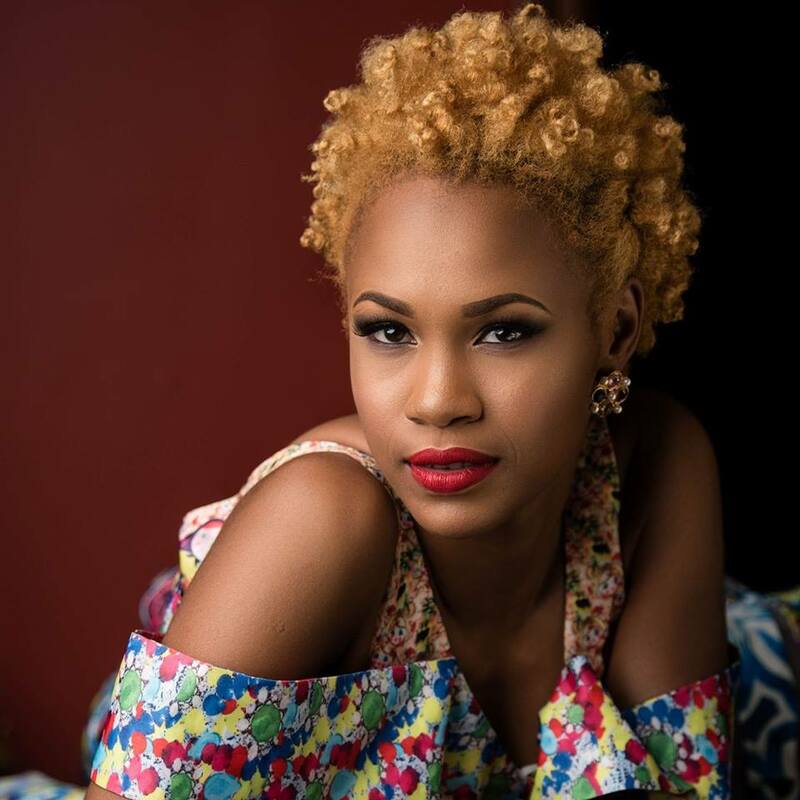 Additionally, along with a group of music industry professionals, Stephanie is a Director for the Gungo Walk World Alternative Music and Arts Festival that is held annually at the Edna Manley College. The opening of the Annabella and Peter Proudlock Collection coincides with the National Gallery’s Last Sundays programme for July 2017. While the opening function starts at 1:30 pm, and will be followed by the musical performance, the National Gallery’s doors will, as usual, be open from 11 am to 4 pm. The event is open to the public and admission is free; all are cordially invited. Contributions to the donations box are gratefully accepted and the gift and coffee shops will also be open. Proceeds are used to fund exhibitions and programmes such as Last Sundays.